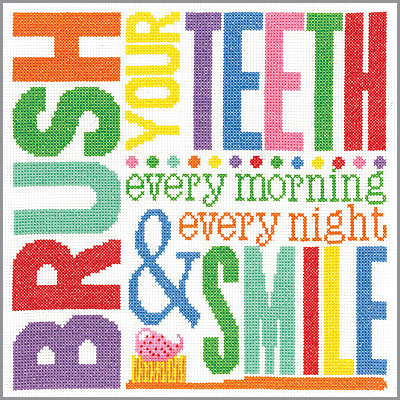 Kathy Middlebrook's easy-to-stitch design is a bright and colorful way to remind young ones to keep their teeth clean, healthy and white. Each kit includes 14-count white aida, 6-strand cotton floss, needle, chart and instructions. Finished size is 10" x 10"